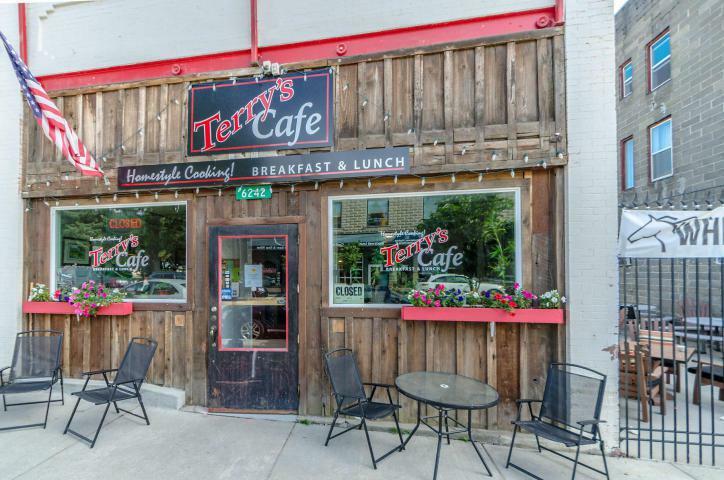 This lovely historic downtown Spirit Lake building is home to a quaint Cafe. It is all set up and ready for you to make it your own! The sale includes the tables and chairs and all equipment. It has a full kitchen with walk-in cooler & pantry. It even has its own laundry area with washer & dryer. Behind and attached to the restaurant is a 2 bedroom, 1 bath apartment with covered back patio and alley access. This apartment is currently rented out for $600 a month or it could be used as living quarters for the next owner. This is a perfect location as the lake is right down the street.